When it comes to helping children with learning disabilities, tablets, computers and other innovative learning tools can be useful but are in no way exclusive. In fact, there will always be a place for the traditional tools that we have relied upon for years to assist children with learning disabilities reach their full potential. Although there have been countless studies conducted and articles written on the benefits of exercise on a person’s mind over the years, the link between physical activity and the brains of children with learning disabilities is a powerful revelation. Aside from the physical benefits, sports in particular can prove to be significant learning tools for these students. Something as simple as teaching children to hit a baseball off a tee can have a significant impact on their self-esteem. Being able to participate in sports alongside other kids and feel the sensation of success and accomplishment can provide confidence that spills over into other areas of their life. Also, team sports of any kind demonstrate another form of learning that a child may not yet be familiar with. For children with learning disabilities, adopting a multifaceted approach to learning, one that includes standard models and modalities along with the invaluable and unique lessons taught through sports, can lead to prolonged success. Like exercise, the positive impact of music on a child’s developing brain is well-documented. For children with learning disabilities, music can also significantly enhance the many cognitive and mood functions. Particularly in children with ADHD, music balances emotions and allows them to be more receptive to instruction - a quality that can obviously be helpful in other areas of life as well. Studies also show that children with ADHD have greater improvisational abilities than their peers when playing an instrument, thus boosting self-esteem. When conducted in a group therapy atmosphere, music is particularly adept at positively affecting social skills and expressive language abilities overall. 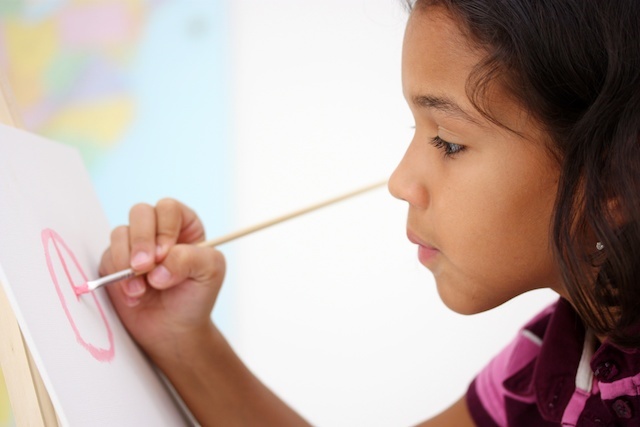 Art can also have a significant impact on the life of a child with learning disabilities. Since many children struggle with written and/or verbal communication, the visual arts may very well be a successful conduit towards self-expression and communicating thoughts in a truer, more representative fashion. In fact, many children with learning disabilities are naturally gifted at visual forms of expression like art, providing yet another source for boosting confidence and self-esteem. While technology can certainly do wonders for a child with learning disabilities, incorporating traditional tools helps struggling students learn, adapt and evolve in order to reach their full potential. Finding the right combination for your child will make all the difference in unlocking his vast potential.